As most Sikkimese festivals are held as per the Buddhist calendar. 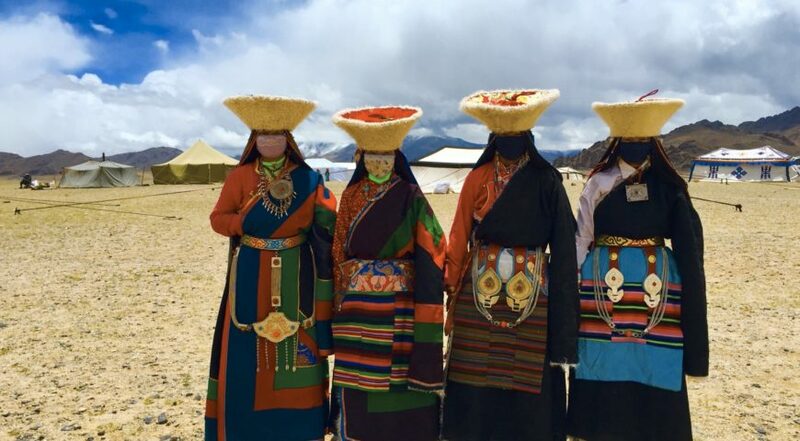 The most interesting spectacle one sees are ritual dances of the Lamas with quaint musical instruments and masks. Losar, Tibetan New Year, involaves a lot of gaiety and festivity. Saga Dawa is a very auspicious day for the Mahayana Buddhists. On this day people go to monasteries to offer butter lamps and worship. A huge procession of monks goes around Gangtok with holy scriptures. Phang Lhabsol is a festival unique to Sikkim. It is celebrated to offer thanks to Mount Khanchendzonga, the guardian deity of Sikkim and to Yabdu, the supreme commander. Kagyat Dance is performed every 28th and 29th day of the Tibetan Calendar. The solemn nature of the dance is interspersed with comic relief provided by the jestures. Dasain the biggest and most important festival of the Hindu Nepali population is celebrated in September-October. It symbolizes the victory of good over evil. Dipavali, the festival of lights is celebrated 10 days after Dasain.